Traveling in the winter can be brutal. The frigidly low temperatures and high winds can cause hypothermia in just minutes. The wind and snow create a low visibility that becomes a danger to drivers, and the ice makes it impossible for the car’s tires to maintain traction on the road. 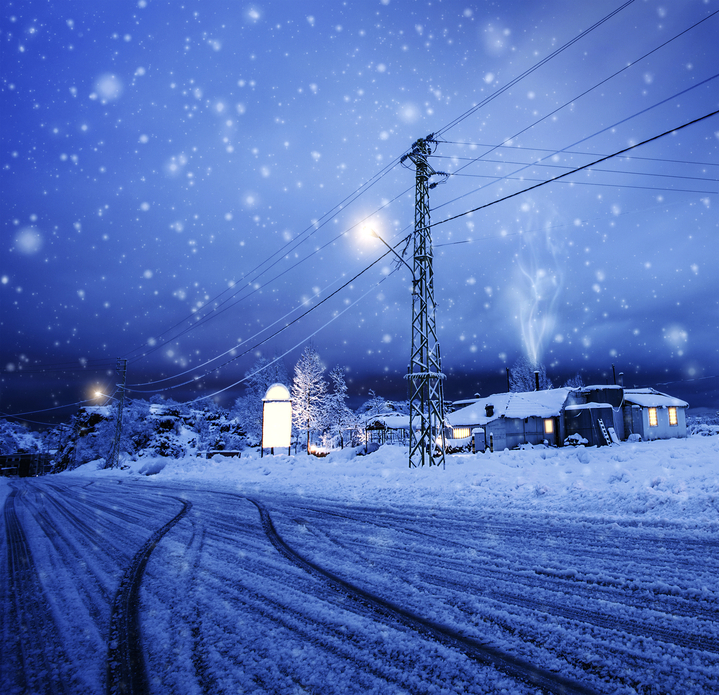 Winter travel is extremely risky, especially during a storm. If you are planning a long-distance trip during the winter months, make sure the weather is favorable before you leave. If it is not an emergency, do not travel during winter weather advisories. Traveling along roads that see little traffic can cause the largest risk for drivers stranded in the cold. The longer it takes for help to find you, the higher the risk of serious injury or fatality. Be prepared before you take any trip in the winter, whether it is a short drive a few miles up the road, or a cross-country vacation. Having your vehicle stocked with the ultimate winter survival kit can make the difference between life and death in severe circumstances. One of the first things to consider in the winter is warmth. If your vehicle breaks down, slides off the road, or is left incapacitated in any way during the winter, you need to be prepared. Running the heat is sometimes an option, but you cannot always rely on the car running, or the gas in it lasting long enough for you to be discovered. Place a large warm blanket in the trunk of your car, along with a few essential clothing items. Gloves, extra socks, long underwear, hat, scarf and snowsuit are all recommended. You may want to include snow boots in the car as well, just in case you are required to walk for help. Hand warmers are sold at most stores that sell camping supplies, and can be a great item to get some quick warmth during the bitterly cold weather. The bag creates a chemical reaction when it is smashed that immediately distributes heat. Matches or a lighter will come in handy for creating a fire if you need to manufacture heat to stay warm. Place some kindling in the car and an old newspaper to help get the fire started, as most of the wood outside is going to be wet and covered in snow. Light sticks are inexpensive, and could help save your life in the event of a breakdown on a cold winter night. Light sticks light up when they are snapped, and create a great light source, as well as make you and your vehicle more noticeable. Wear light sticks when outside of the vehicle and near the road in case another vehicle drives by. The light will alert them to your whereabouts so they can avoid crashing into you, and also alerts them that you are in need of help. Include a flashlight into your survival kit. Make sure there are batteries in the flashlight, as well as extras. Creating a fire is also a great source of light in addition to a way to keep warm. You never know how long you are going to be stranded out in the cold. Some winter storms are severe and can last several days. If your vehicle went off the road and into a ditch, chances of being noticed right away are slim. Be prepared and have plenty of nutritious and non-perishable foods in your vehicle just in case. Bottled water is an essential part of your survival kit. If you do not have bottled water, make sure you have a stainless steel pan and a camping cup to melt snow over a fire for drinking water. Protein bars are a great way to keep your energy levels up in case you need to walk for help, or shovel your car out of the snow. Include dried fruits, granola, crackers and pouches of tuna in your survival kit. Road flares should be a part of your survival kit no matter what the weather is like. They are placed alongside your vehicle to alert others of your distress. Flare guns are great signals for alerting others to your whereabouts. If you are on a deserted road and need to send a signal far away, a flare gun is ideal. A whistle is a decent signal to alert others that are nearby if you are unable to get to them. You should always carry with you tire changing tools, extra fuses, belts, hoses, clamps, booster cables, a tow chain and a complete tool set. During the winter you should include a windshield scraper, shovel, multi-purpose knife and syphon pump. Nylon cord, windshield de-icer, a compass and sand are also recommended. The sand can be replaced by a bag of kitty litter, both work well to offer traction under tired buried in snow. A compass and road maps can help you locate the nearest town in the event you run off the road or break down in a location you are unfamiliar with. Your cell phone should be fully charged before you leave on your trip, and even offer helpful survival apps. These apps can show you how long your engine will run safely before causing carbon monoxide concerns, they can determine your geographical location, and even notify authorities as to your whereabouts. Make sure you bring along a car adapter for your charger. Any medication you take on a regular basis should be brought along with you on any trip in the winter. Also include a basic first aid kit that includes bandages, gauze, alcohol cleansing cloths and scissors. If you are involved in an accident, or you have a break down during a winter storm, stay inside of your vehicle. Your vehicle is the best shelter you will find. Do what you can to make yourself visible, contact authorities, and stay put. Keep in mind that snow is capable of plugging your vehicle’s exhaust system, putting you at risk for carbon monoxide poisoning. It is recommended to run your vehicles engine for 10 minutes each hour, and leave a window cracked while it is running. With all of these tools at your disposal, your chances if survival is increased many-fold.